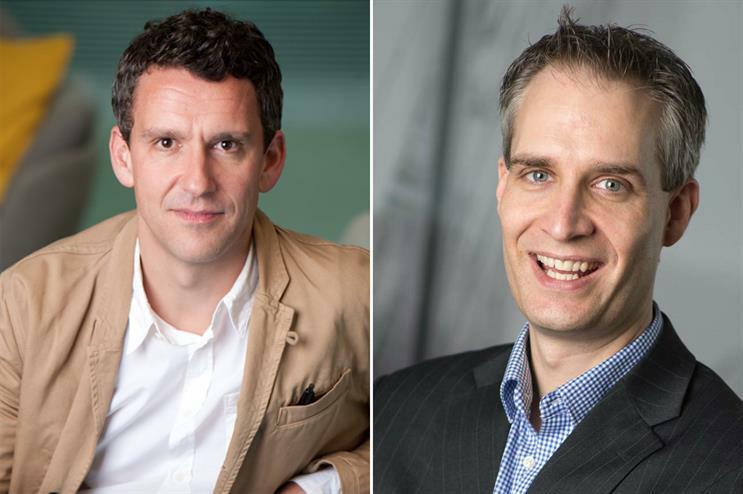 Dan Ramsay and Pete Jeavons will now have responsibility for different aspects of both BT and EE marketing. BT has changed the brand management structure of its consumer division, with two of its top marketers being handed new roles that cover both BT and EE. Pete Jeavons, previously director of brand marketing for EE, becomes director of marketing communications for BT’s Consumer division, and will lead all marketing communication, including brand and sponsorship activities, across both BT and EE. Dan Ramsay, previously consumer marketing director for BT, becomes director of multi-brand marketing for BT Consumer, a role that will oversee cross-brand projects and initiatives between BT, EE, and the Group’s third brand, the value-oriented Plusnet. Both Jeavons and Ramsay will report into Pete Oliver, managing director of marketing for BT Consumer. Oliver was promoted to the role in August after Max Taylor, who had been managing director of marketing for EE, left the business. A spokesman for BT said that the brands would continue to operate separately, and that the changes would not affect the Group’s existing agency relationships, which include Saatchi & Saatchi for EE, and Abbott Mead Vickers BBDO for the BT brand. Oliver said: "We have some of the strongest brands in the UK and we’re working hard every day to provide the best connections and service for all of our customers. "We’ve restructured our marketing team with great leadership from Dan and Pete, as well as outstanding internal teams and agency support, to ensure we continue to create amazing campaigns and marketing that truly connect with our customers up and down the UK."